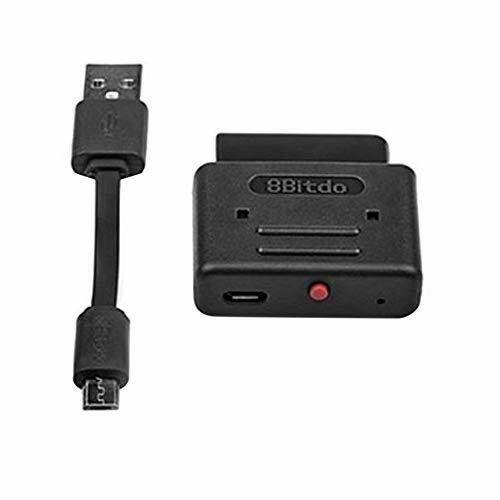 Compatible with for all 8Bitdo Controllers. Next Gen too. Power on for 8Bitdo controller to enter pairing mode. Press pairing button on Retro Receiver to pair new controller. Wait until both LED are solid blue.Your controller is now paired. Controller Compatibility For all 8Bitdo controllers and arcade sticks. Fit For PS3, for PS4, for Wii mote, for Wii U Pro. Help you to enjoy games smoothly and have fun. Light in weight and compact size, easy to carry. With USB cable, plug and play design.